The DHC+ Technology Platform and the organising committee of the DHC+ Student Awards would like to express a big thank you to everyone who participated in our contest and helped make it a success! 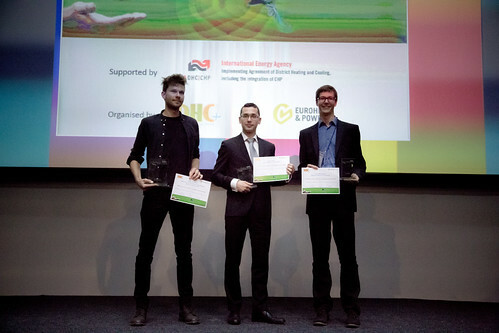 All participants of the Student Awards had the opportunity to receive a personalised feedback on their research and will have more chances to win in the future contests! This year’s winners were invited to present their research outcomes at the 38th Euroheat & Power Congress (held on 15-16 May 2017 in Glasgow, UK), received a coaching session from David Beckett (a pitch trainer and TEDx speech coach) and published their articles in the International EuroHeat&Power Magazine (issue III/2017 and IV/2017).